President Donald Trump on Tuesday pushed back against Bob Woodward’s scathing new account of how the White House operates, saying that it’s “just another bad book” and suggesting that Woodward made up some of the content. “It’s just another bad book. He’s had a lot of credibility problems,” Trump told The Daily Caller in an interview Tuesday afternoon. It was the latest rebuke from Trump and his administration on the veteran journalist’s book after excerpts were published earlier in the day. “Fear: Trump in the White House,” which is set to be released on Sept. 11, is the latest book detailing chaos in the West Wing. 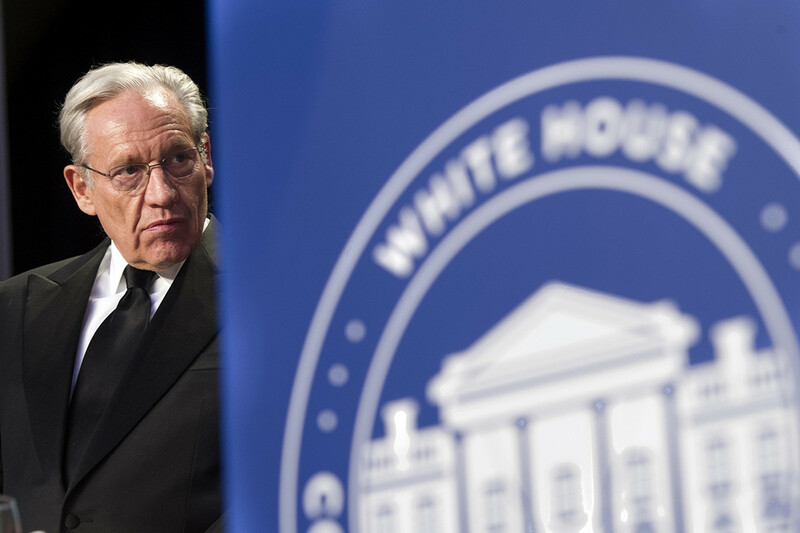 Woodward, who was a lead Washington Post reporter in covering Watergate, the scandal that led to President Richard Nixon’s resignation, said he reached out to several officials in the White House to set up a meeting, according to The Post. The paper published audio and a transcript of a call between Woodward and Trump. Woodward in the call said he contacted several Republicans and administration officials, including Sen. Lindsey Graham (R-S.C.), White House counselor Kellyanne Conway and deputy press secretary Raj Shah, to try to interview the president for the book. Trump said that while Graham briefly discussed it with him, he never received any other notices from his staff. White House chief of staff John Kelly once again denied that he ever called President Donald Trump an “idiot,” in a response to published excerpts from the book. “The idea I ever called the President an idiot is not true,” Kelly said in a statement released by the White House earlier Tuesday. His comments about Trump were reportedly made after a National Security Council meeting in January in which the president questioned the costs of keeping a U.S. military presence on the Korean Peninsula. Mattis told Trump that armed forces were necessary “in order to prevent World War III,” according to Woodward’s book. “In serving in this administration, the idea that I would show contempt for the elected commander in chief, President Trump, or tolerate disrespect to the office of the president from within our Department of Defense, is a product of someone’s rich imagination,” Mattis said in his statement. Gary Cohn, the former National Economic Council director, reportedly removed sensitive papers from Trump’s desk that the president intended to sign to formally withdraw the U.S. from a trade agreement with South Korea, The Post reported. Trump never noticed they were gone, according to the excerpt from Woodward’s book. “It could be just made up by the author,” Trump said of Woodward. On Tuesday night, he directed even harsher comments at the author.